The Rebel Sweetheart. : Spotlight | Nature Republic Hand and Nature Hand Cream. Spotlight | Nature Republic Hand and Nature Hand Cream. Hand and Nature Hand Creams. I wanted to get two different variants (there are actually 18 variants in this hand cream line), but the sales personnel told me that they have to be the same variant to qualify for the promo. So there, I ended up with two tubes of Vanilla - my scent of choice when it comes to lotions and hand creams. The Nature Republic Hand and Nature Hand Cream contains 15% shea butter to moisturize and nourish the skin. I love its light and silky texture, and how it's easily absorbed by the skin. It's also non-greasy, and does a good job of keeping your hands moisturized. As for the scent, it smells a lot like Bath and Body Works' Warm Vanilla Sugar - sweet, without being too cloying. The scent, however, does not last through the day. It fades into a subtle scent after an hour or so, unlike other hand cream brands that can actually double up as perfume. Now here's the thing about the Hand and Nature Hand Cream. They're actually EXO-endorsed, with some of the variants being the 'scent of choice' of the EXO members. Turns out, mine is Lay's choice, and surprisingly, Lay happens to be my cousin's bias. 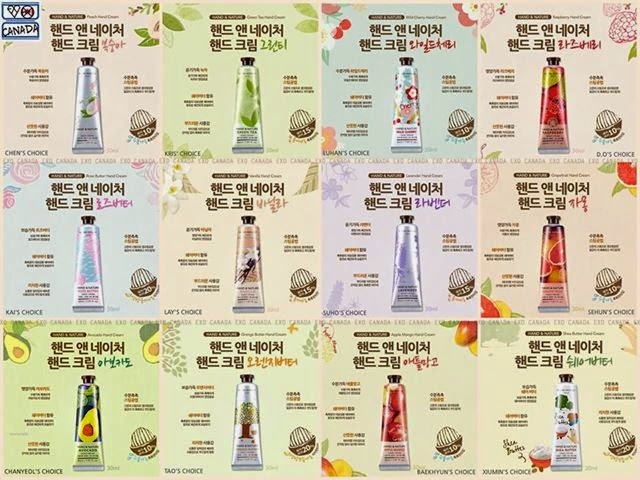 And for a limited time only, these hand creams are available in a completely different packaging that EXO fans would definitely lust, drool, and swoon over (haha!). 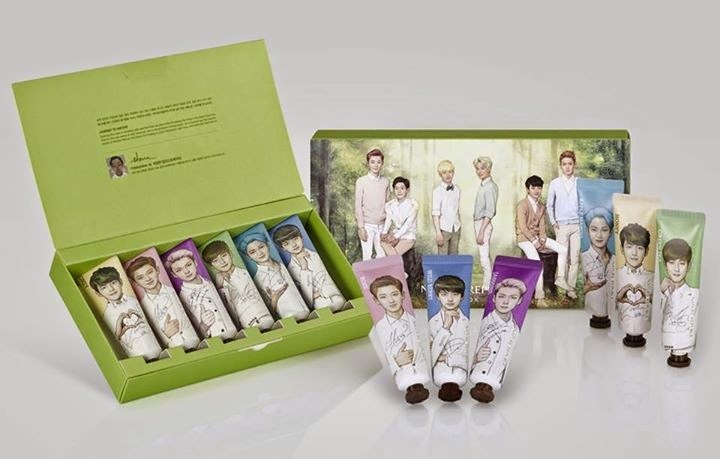 Limited Edition EXO Hand Cream set. I love the packaging! And, vanilla is my scent of choice for hand creams too! Sounds like a really great product- thanks for sharing! What great packaging! I'm a big fan of Warm Vanilla Sugar, too, and always choose vanilla scented products. This sounds so good. My skin gets so dry. I love anything with vanilla in it. And shea butter is supposed to be awesome.